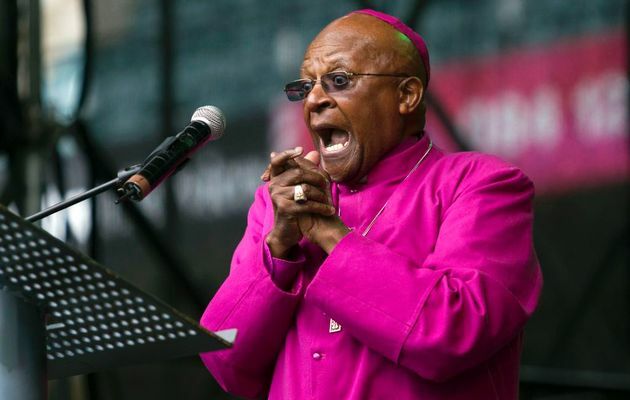 Archbishop Desmond Tutu – a long-time friend of Nelson Mandela – has said that South Africa’s first black president would have been appalled that Afrikaners were excluded from memorial services marking his death. Desmond Tutu highlighted the absence of the Dutch Reformed Church and the limited use of the Afrikaans language at the services. A mainly Afrikaner party introduced white minority rule, which Nelson Mandela opposed, spending 27 years in jail. But after becoming South Africa’s first black president, Nelson Mandela preached reconciliation with his former enemies. Archbishop Desmond Tutu also strongly criticized the prominence of the governing African National Congress (ANC) during the week of events following Nelson Mandela’s death on December 5. “I also believe it may have sent out a more inclusive message had the programme directors at the Memorial and Funeral – both national and State events – not both been senior office-bearers of the ruling party,” he said. Archbishop Desmond Tutu fought apartheid, along with Nelson Mandela and the ANC, but has become increasingly critical of the party, recently saying he would vote for the opposition. He almost did not attend Sunday’s funeral for his close friend, saying he had not been invited. In a statement, Desmond Tutu described Nelson Mandela as a “nation builder” who “went out of his way” to include Afrikaners after the end of apartheid.